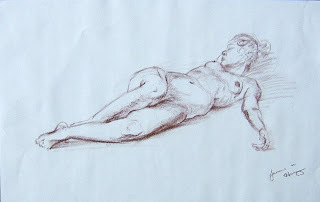 These are the typical hw assignments for Analytical Figure Drawing. 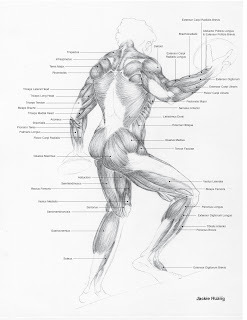 We copied statues and had to draw all the muscles underneath the figure, then label it all. 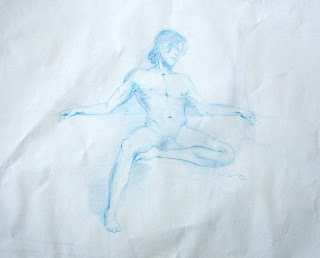 A foreshortened pose from class. I did an auto adjust in photoshop and thought the brown paper made it kinda interesting. 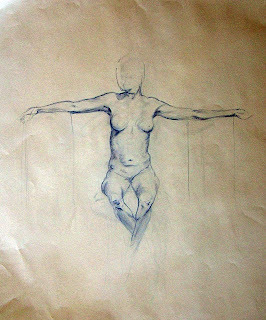 Another in class Analytical Figure Drawing. This is how my drawings looked without an auto adjust.